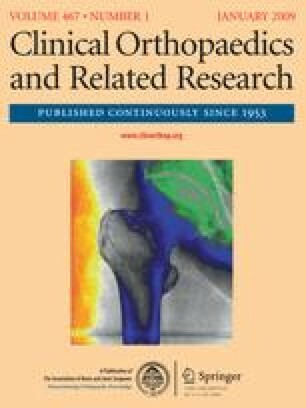 Current outcomes data on revision total hip arthroplasty focuses on specific implants and techniques rather than more general outcomes. We therefore examined a large consecutive series of failed THAs undergoing revision to determine if survivorship and modes of failure differ in comparison to the current data. We retrospectively reviewed the medical records of 1100 revision THAs. The minimum followup was 2 years (mean, 6 years; range, 0–20.4 years). Eighty-seven percent of revision total hips required no further surgery; however, 141 hips (13%) underwent a second revision at a mean of 3.7 years (range, 0.025–15.9 years). Seventy percent (98 hips) had a second revision for a diagnosis different from that of their index revision, while 30% (43 hips) had a second revision for the same diagnosis. The most common reasons for failure were instability (49 of 141 hips, 35%), aseptic loosening (42 of 141 hips, 30%), osteolysis and/or wear (17 of 141 hips, 12%), infection (17 of 141 hips, 12%), miscellaneous (13 of 141 hips, 9%), and periprosthetic fracture (three of 141 hips, 2%). Survivorship for revision total hip arthroplasty using second revision as endpoint was 82% at 10 years. Aseptic loosening and instability accounted for 65% of these failures. Level of Evidence: Level IV, therapeutic (retrospective) study. See the Guidelines for Authors for a complete description of levels of evidence. Each author certifies that his or her Institutional Review Board has approved the reporting of this data, and that all investigations were conducted in conformity with ethical principles of research. We thank Anne Dennos, Amanda Phillips, and Caryn Thompson, CCRC, of the OrthoCarolina Research Institute for all of their hard work in collecting data for this project.